A Google Plus login is just another daily routine for us, since Google decided to make using the search engine owned social network such an important element in SEO. Today I am going to run through the 5 steps you need to take to build and publish an incredible looking brand on Google+. Getting the basics covered for 2014 is part of a good strategy. Disclaimer! 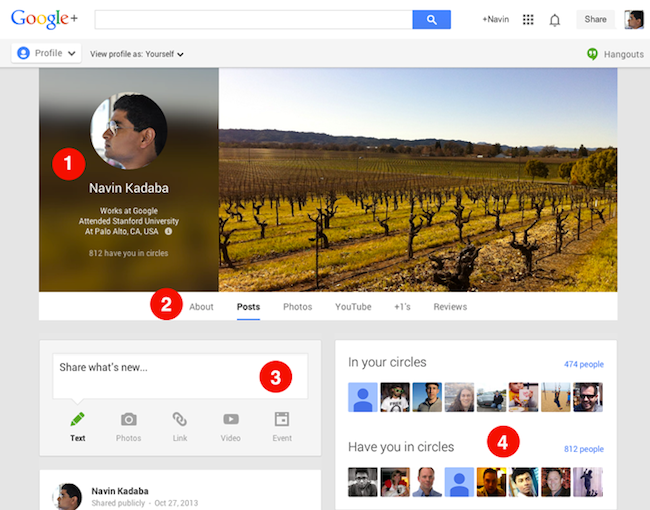 The Google Plus ‘sign in’ process is easy enough, but it’s uncommon to find well designed profile pages on the platform. That is why you can make a real impact here. I don’t know if it’s because of the late-adoption or the fact that people still see it as second to Facebook – but opportunity abounds! In my experience, Google+ is mainly used by marketers, business people and bloggers – as a more friendly version of LinkedIn – without the constant feeling of rejection (from not being added as requested). By having your own circles and being in other people’s circles, you can talk business and still have a sense of humor. That is why your profile image needs to stand out. Make sure it’s of you, smiling. Sounds simple, yet it’s not as common as you’d think. If you have a brand page, use your brand ‘icon.’ On Google+ it looks best if your face takes up most of the space inside the circle! People usually pick a random image of nature for their background (side) image, but if you own a blog or brand it’s important that you continue your identity on this page as well. Keep the graphics clean and simple – try to communicate with a bold image instead of words. Someone that clicks onto your profile should see what it is you do in a business context, so that the images and words below (your updates) instantly make sense. Create a great ‘one-liner’ tagline, an introduction and a set of bragging rights for this section. You will want to include who you are or what you do in your tagline – elaborate on it in your introduction section, then round it off with any achievements (even personal ones) in your bragging rights section. Some humor here will go a long way. Get creative in the section titled ‘occupation’ – here you get to tell people WHO YOU HELP, not what you do. A social media strategist might say – I help people connect with communities online (only in a more creative manner). Take what you do, and turn it into a small ‘career story’ to entertain anyone that comes across your profile. This section is very important, because you are able to add in all your other social profiles here – which can help spread people in your circles to your other social networks. Add in your Facebook, Twitter, Pinterest, LinkedIn and YouTube accounts, along with all the main web pages online where you have been featured as an expert, a blogger or a person of interest. Only pick the most impressive ones, if you have a lot of options. Follow these great Google Plus login tips to build a better profile page, and you will find that the network actually has a lot to offer you in 2014. Even if you only use it for SEO, networking or work – there is always value to be found in the other people on the platform. Make sure that you dedicate some time to updating your profile this month. 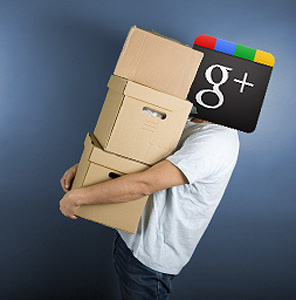 Do you use Google+? Is there a specific reason why you use it? Tell us the story.